Mary Ann Jamieson found herself in a difficult situation. No longer able to keep up with outdoor maintenance for the house she’d occupied for 60 years, the Lakewood resident watched helplessly as the yard at her childhood home became increasingly overgrown. That is, until a group of volunteers came to her rescue. 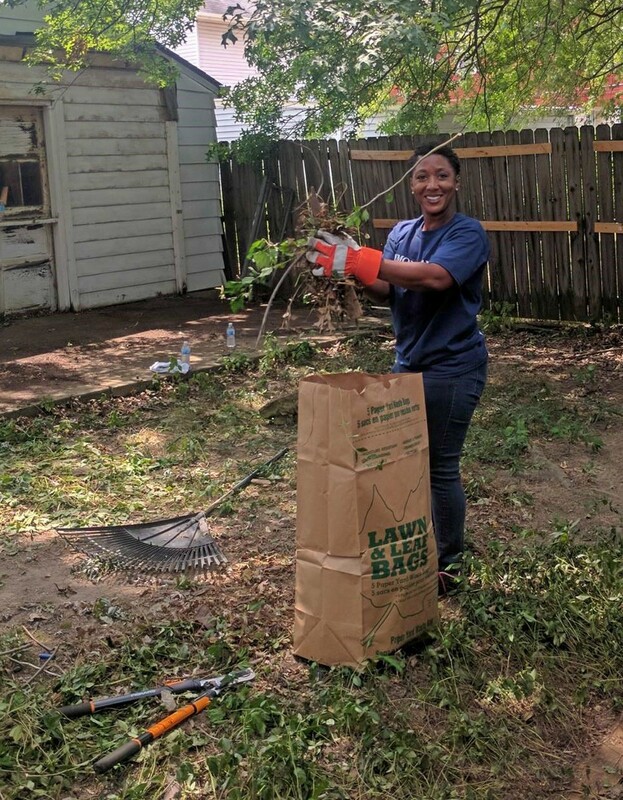 LakewoodAlive recently partnered with Bentley Wealth Management of Raymond James, a locally-based financial services company, to assist Ms. Jamieson with reclaiming the yard surrounding her Delaware Avenue property. 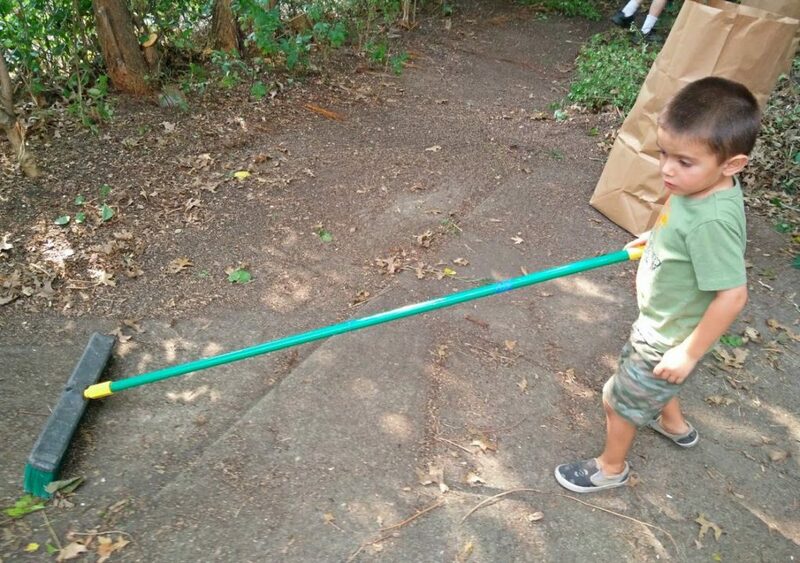 During stifling afternoon hours on Aug. 5, more than a dozen volunteers participated in a project involving trimming, weeding, painting and general cleanup. The result? A yard transformation and beautification success story that left the homeowner brimming with gratitude. 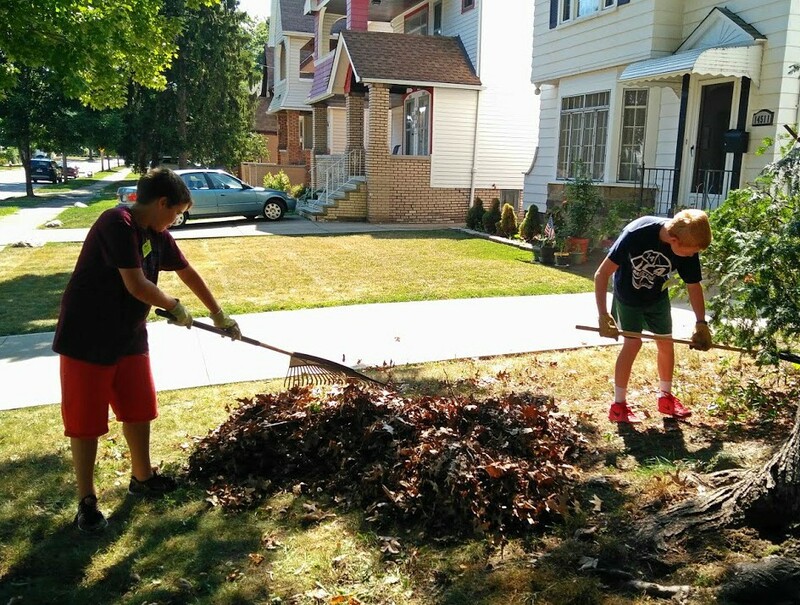 LakewoodAlive recently facilitated a trio of beautification projects on behalf of Lakewood residents. 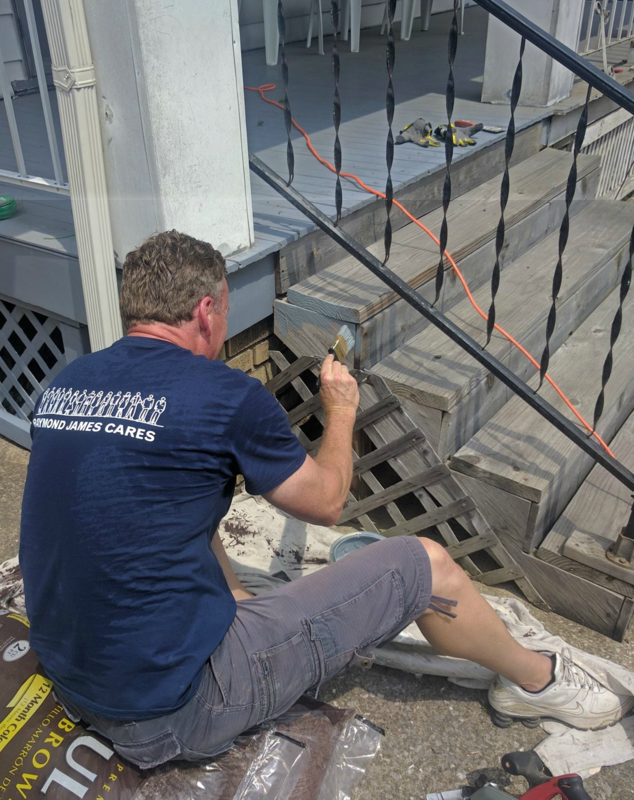 For Michael Bentley – Vice President, Investments for Bentley Wealth Management of Raymond James – and his crew of fellow volunteers, the experience proved extremely rewarding, despite the intense heat. 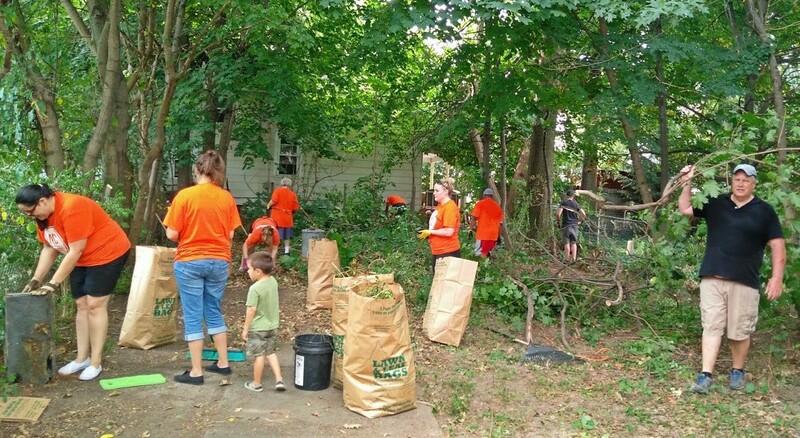 While working on enhancing the curb appeal at Ms. Jamieson’s home, the group experienced both neighbors and passing motorists who stopped to inquire about the project and commend them for their tremendous efforts. In the days before LakewoodAlive helped put a smile on Ms. Jamieson’s face, the community-centered nonprofit organization collaborated on two similar projects for elderly Lakewoodites. 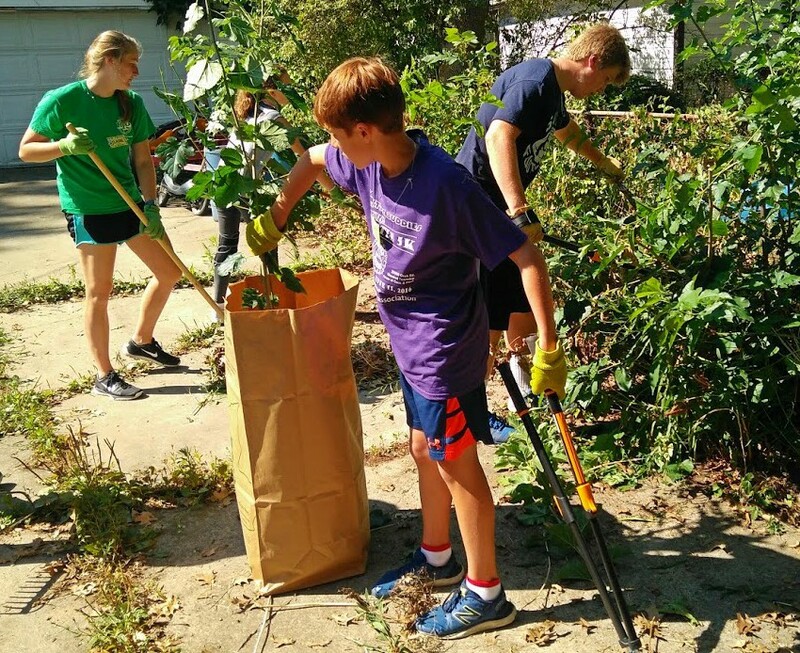 The LakewoodAlive team partnered with 8th graders from H2O – Help To Others on Aug. 2 to complete a yard cleanup for an elderly resident on Delaware Avenue. H2O is a Lakewood-based service learning program for youths that enriches the city by engaging young people as community builders. 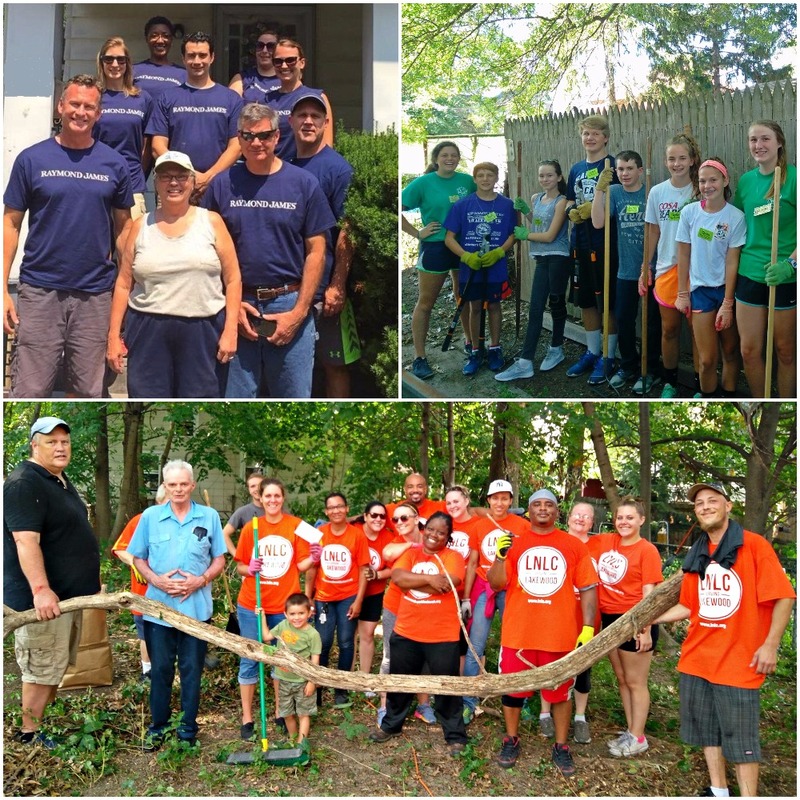 Prior to that on July 30, LakewoodAlive joined forces with 15 volunteers from Lakewood New Life Church (LNLC) to complete a massive curb appeal project for an elderly resident on Davis Court whose family had occupied the home for 70 years. No volunteer initiative has proven too big for LNLC, which has long been the oil to LakewoodAlive’s engine. The trio of beautification projects represented the 23rd, 24th and 25th such undertakings completed by LakewoodAlive thus far in 2016. For more information regarding LakewoodAlive’s Housing Outreach Program, contact Allison Urbanek, Housing Outreach Director, at aurbanek@lakewoodalive.com.